In our latest review, the Eskimo and I tackle what is often dubbed "The Greatest Movie of All Times" - Citizen Kane. We’ve been asking friends and readers for their Top 5 Scariest Movies - well, finally, here’s ours! We recently posted two Night at the Roundtable movie discussions. On my night, I try to find AT LEAST one Greg Kinnear movie The Eskimo agrees is good. (Never thought it would be Stuck On You though.) Then on his knight, The Cold One throws out some movies he would recommend to someone who's just getting into watching movies. If you're interested, we're also collecting lists of readers' 5 Scariest Movies. Send your list, with a brief commentary on why you found the movies so scary, to theysaidmoviereviews@gmail.com to be included. We're going to try and post one list a day every day in October. The Web site is up now too. (Before we were posting all of the reviews on the blog.) Check it out and let me know what you think. All suggestions are welcome! 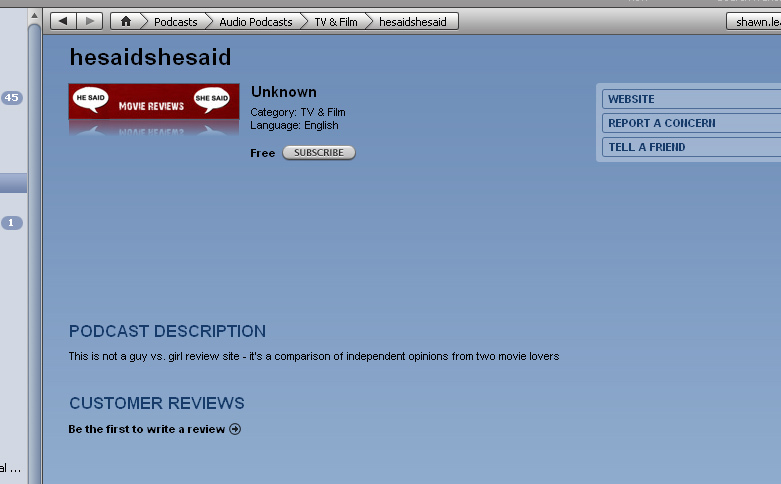 We are also starting another HeSaid SheSaid Movie Reviews blog - Uncredited Voice - where we will post movie lists and movie reviews from readers. Send your reviews and lists to theysaidmoviereviews@gmail.com and we will get them up. The Eskimo and I laughed when we got ready to head out to see Ghost Town - and discovered that we were both wearing our cowboy boots. 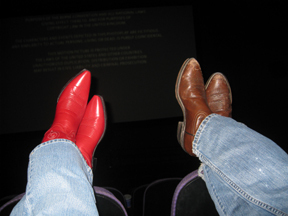 The Eskimo ruled that all HeSaid SheSaid Nights at the Movies will now require "the wearing of the boots" from hereafter. So listen for us stomping around in a theatre near you soon! After watching, we both hoped for a better night and better luck next time in our picks. 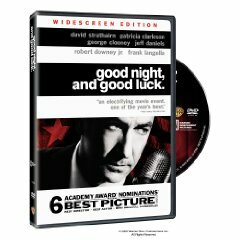 Read our reviews and hear our audio commentary here. The Eskimo and I head to the theatre in our second review for the Coen Brothers's new film, Burn After Reading. Read our reviews and hear our audio commentary afterwards here. And I have my own She Said... blog on that site too - so be sure and check that out. I collect my personal movie tidbits there.